Where a tooth is missing it can potentially be replaced using the teeth on either side of the space. Spaces can be filled using the support of adjacent teeth. They can range from fixed bridges which have crowns for their supports, to resin bridges which use adhesive wings from the adjacent neighbour. They are always cemented in place permanently. Often they are used instead of removable dentures, which can be a nuisance and inconvenient. 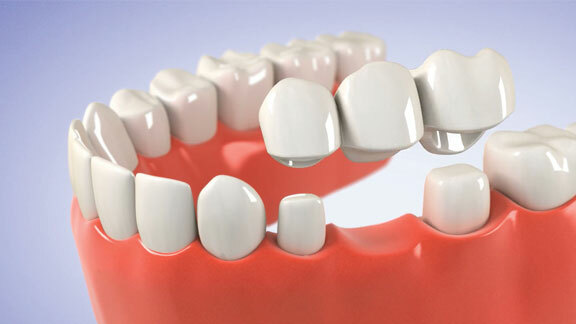 Missing teeth can be unsightly and are understandably not ideal if visible. Issues can also be caused with the bite if spaces are left unfilled for very long periods of time.